My soap seized, what can I do? 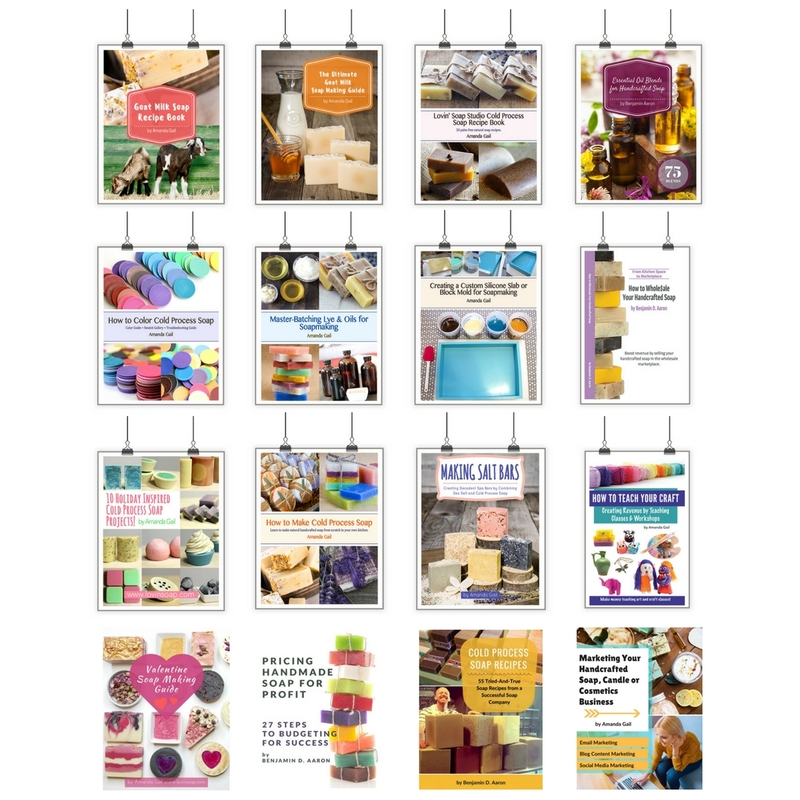 Hot Process It, Rebatch It or Chunk It! Have you ever had a soap seize on you? Do you know what I’m talking about? You mix your soap to the perfect light trace, add a fragrance oil and all hell breaks loose?!? It looks like a mixture of lumpy mashed potatoes or turns completely solid (soap-on-a-stick)! I regret not taking a picture of my last seize, but it came so expectantly that I just didn’t have time to grab my camera. Here are some great videos! Epic Soap Seize, Irish Spring Soap Seize, and Seized Soap. EEK! I feel your pain, sisters! Why does a soap seize happen? Something is causing the saponification process to accelerate. It is usually a fragrance oil or essential oil. Watch out for florals and spices when it comes to fragrance oils and watch out for spices (clove, bay, cinnamon…etc.) when it comes to essential oils. Some fragrances are labeled with ‘may cause acceleration’. These are fragrances that are prone to seize, combined with a couple of factors. 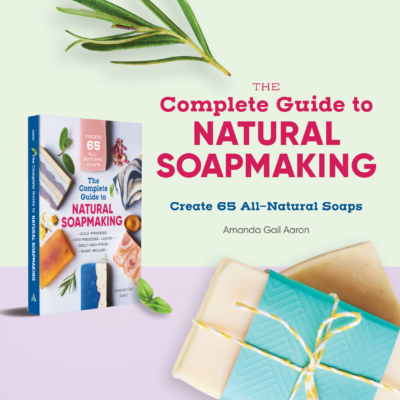 Temperatures – Temperatures play a huge role in your soap moving towards and through saponification. Cooler temps cause your soap to move slower; higher temps cause your soap to move faster. Higher temps combined with a fragrance oil or essential oil that is know to move fast = soap seize! Soap cooler (75-85 degrees F) when working with fast moving fragrances and essential oils. Watch out for other additives that can cause your soap to heat up, such as oatmeal, honey, beer…etc. Water Amount – Discounted water combined with a tricky EO or FO can cause your soap to seize. 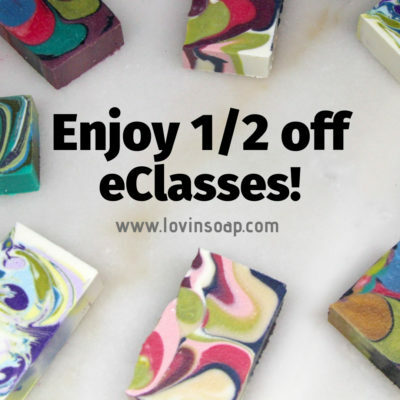 If you are using a water discount while soaping, be sure you aren’t using a finicky EO or FO. Mixing – Using a stick blender can cause tricky EO’s and FO’s to accelerate. Stir by hand or whisk. Add your fragrance or essential to your melted oils BEFORE adding the lye solution. Sometimes the dilution of the FO or EO helps to slow it down. You can prevent it by paying attention to the temperature and water amount. Soap cool and don’t discount your water. If you are using a new fragrance or essential oil and don’t know how it will effect your soap, make a one pound test batch first. If it is happening, don’t panic! If it is a light seize, where just where you are stickblending on the bottom of the pot is seizing, stop stickblending and stir to trace by hand. If it is a heavy seize and you can’t save it, you’ve got three options! 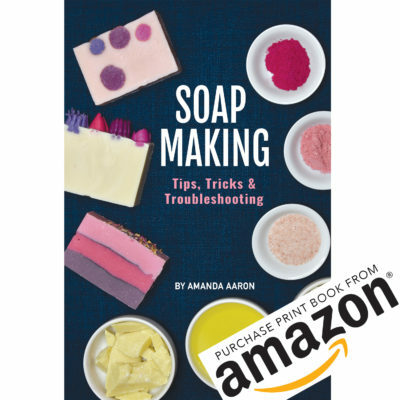 Chunk it – You can let your soap sit until solid. Cut it up into little chunks. 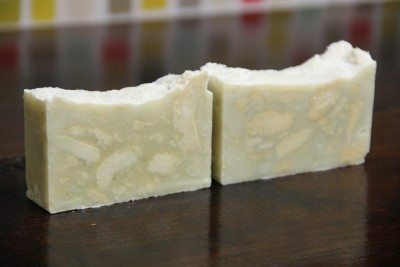 Make a new batch of soap and add the chunks into the new batch. I’ve come up with some really nice designs this way. Here is a soap that Benjamin and I had to chunk up to fix. I love the way it looks! 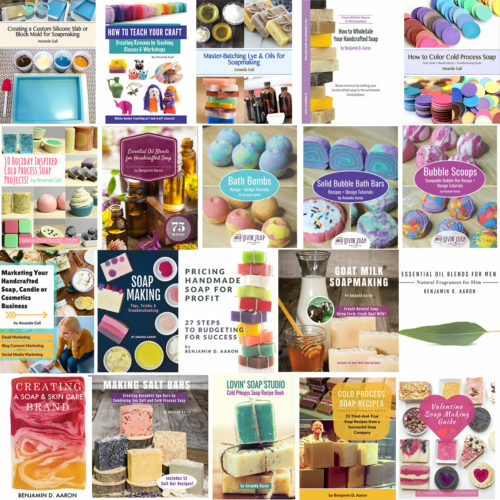 If you are a soapmaking, you’ve probably had a soap seize. 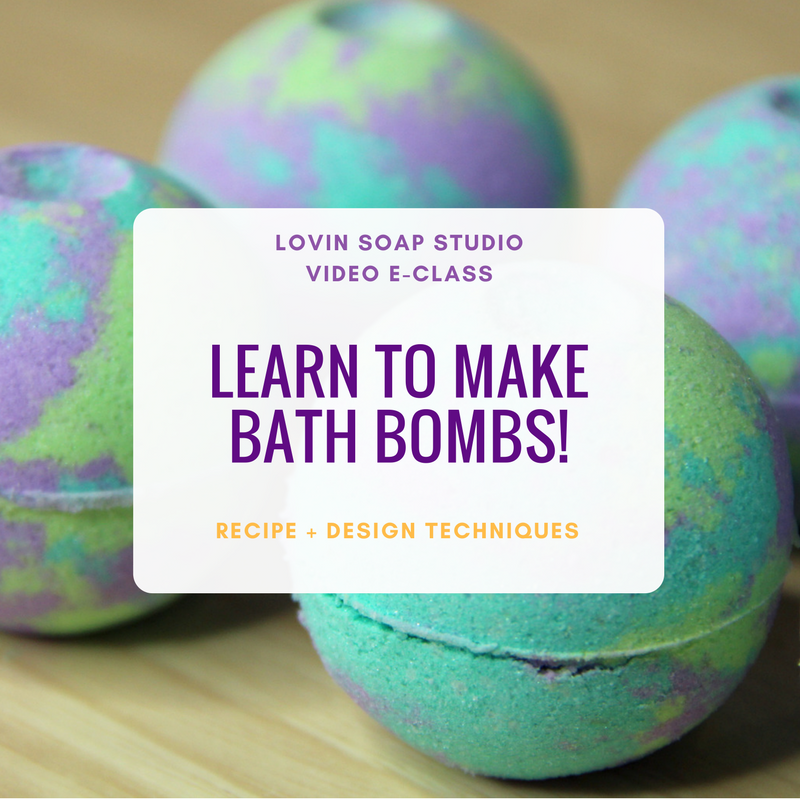 If you are new to soapmaking, you’ll have it happen one day! Stay calm and know that there is a way to fix it! It might not come out how you envisioned it, but you’ll end up with a unique soap that has a unique story. Have you ever had a soap seize? Did you panic? How’d you fix it? I’d love to know! 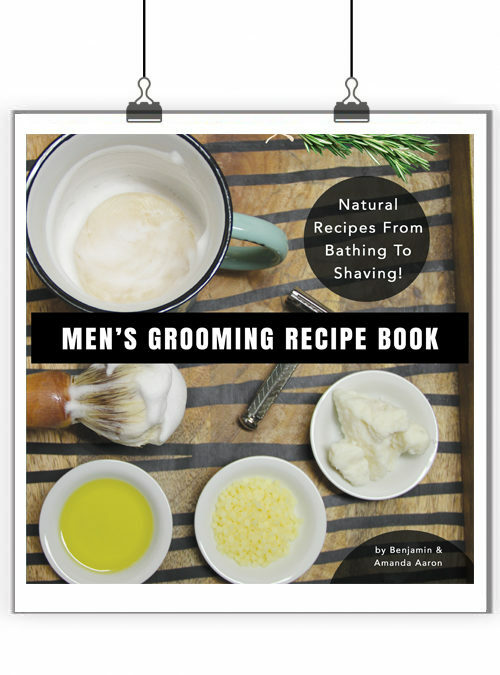 Leave a comment to be entered to win a free eBook. We’ll draw a name from the comments tomorrow at 1 pm (central time). light and dark greens in cream like conglomerate stone with my gold mica line everywhere. Using it was just fine. My mother made off with most of them and I sold out quickly. Could never repeat that again. I make my own clothes detergent, so I save all of those bits and use it to make homemade liquid laundry detergent using Borax and washing soda. I just had my first soap seize (tonight) after more than two years of soapmaking. It was an experimental batch using cows’ milk cream as part of the fats/oils, with milk for the liquid, and I divided the cream between the melted fats/oil mix, and the frozen milk. It wasn’t bad at first, and went to trace fairly quickly, but then I added diluted honey. That’s when things took a very quick turn. Luckily, I managed to get it into my molds before it got totally solid. It was a small batch, so not really much of a loss if it doesn’t turn out (just over two pounds). I was using a stick blender. Sorry I meant the lye calculator on Brambleberry.com and I used coconut oil. Darn autocorrect! Thanks in advance! So I’ve never made soap before. Ever. Tried valiantly tonight to make crock pot hot process lard soap. Used the lye calculator here, added a little coconure oil and olive and freaked out while I was pouring my lye and didn’t stir enough. Poured it into my crock pot, used the stick blender (I heard it shouldn’t add my EO until later on???) aaaaaand it totally seized up on me. Like, SOLID. What do I do?? How long should I leave it in there and how do I add my essential oil? The water I used was actually distilled water I boiled (with rosemary sprigs) and then added spearmint, peppermint and chamomile tea bags too in addition to more fresh rosemary. I followed the directions I got from a homesteading website, thought I used the proper amount of everything and I guess I didn’t. So upset I researched for WEEKS before doing this calculated everything down to the teaspoon and now I have a nice chunky blob in my crock pot. HELP PLEASE! I was already worried. Something about my balsam fragrance I couldn’t put my finger on. I was going for green, tan and white in the pot swirl. Green was the base color which had the most fragrance. Then I added FO to the tan- things were already getting stiff. My white bucket had no scent yet- thank goodness! I rolled the chunks into the mold and poured the loose white in. It seeped into all the voids like gravy. The top was rough like rocks can look. I put on gold mica and sent it to bed. When I cut it, it was so cool looking. Like veined emeralds. A happy ending. Oh! That sounds like a great save! 🙂 Good job! I have been soaping for a few years and have NEVER had a seize-until today. I mistakenly added three, yes count ’em, three fragrance oils (because there wasn’t enough of one or even the combo of two) and BOOM! I couldn’t believe it. I stopped and stared at it like it had sprouted a head! My husband looked over my shoulder and said, “Um, honey? Is it supposed to be orange?” “Nooooo.” None of my fragrances were orange! What in the heck? I scooped it into the mold anyway, but it think I may have some lye pockets because when I was cleaning things up I kept getting zapped. I am now watching every video I can get my eyes on for rebatching and hoping it is salvageable-at least for home use. Off to Wal-mart for a cheap crock pot. Dang it! Oh no! Just shred it down and dump it in a crock pot to HP. 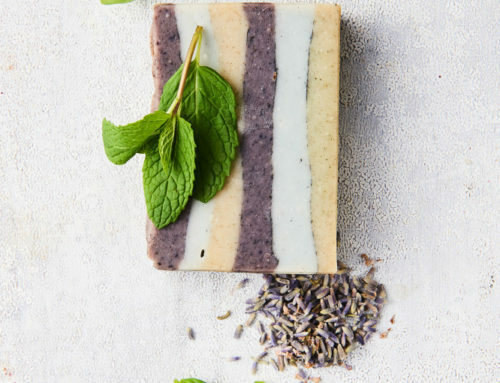 You might actually be surprised at how much you like the re-batched soap. 🙂 Good luck! I had my first seize experience last week and i was so frustrated. I divided it in three batches. One part was going to have strawberry puree, the other papaya puree and the third star fruit. The puree was cold from from the fridge. As soon as I pour the puree, it got hard in seconds. I couldn’t even get it into the mold. I had to put it into the pot and cook it. I cut the soap today. It has white chunks on it. It looks cool. But it is not what i wanted. Im pretty sure it was the cold puree. It was behaving do well before that. I’ve not had any soaps seize yet but then again I am a newbie to the CP world…I’m sure it’ll happen to me eventually. 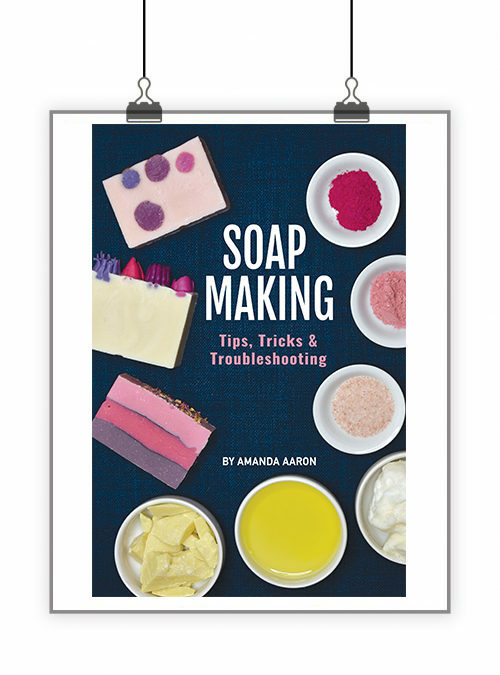 Thanks, Amanda and the commenters, for the tips on how to prevent it and solutions for what to do with seized soaps! I’m not Amanda, but if your NaOH is more than a year old, or improperly stored (on a cement floor in the garage) or the container is not recapped immediately, it loses strength over time due to osmosis (taking on water). The only problem you would then have is you would need a bit more to achieve the same superfat %. For example, if you superfat at 5% and your NaOH goes from 99% pure to 90% pure over time, your superfat would then be maybe 6% or so — and your batch would then be LESS likely to seize. I made a batch of hot process, and I don’t know if it was the heat (it was about 120 degrees) or the fragrance oil. I used my stick blender (your right) and it was solid in seconds. I packed it in the mold, but it didn’t look right, so a couple of months later, I shredded it with the Microplane cheese grater. Then using a different recipe, I made another batch and added the shredded soap to it. It turned out great and looked beautiful. Oh my word.. I made that exact chunky soap. I made some coconut oil soap without fragrance and a friend’s young daughter commented that it smelled like vomit (gasp)!!! I chucked it right up and fragranced the rebatch soap with a bramble berry fragrance – white tea and ginger. I looked for the picture to add to this comment… Looks just like the one you posted! I have only had soap seize twice – luckily. This was useful and interesting. Thanks. I am still convinced, though, that Sodium Hydroxide plays a huge role in this acceleration problem. NaOH is the one thing that constantly changes ie I use a lot of it but a 5kg batch of EO/ FO will last longer than 15kgs of NaOH. So ,to me, the FO/EO is the constant. I am not a chemist and my chemistry is a little sketchy so I might be wrong. What do you think? I’ve had “soap-on-a-stick” more times than I can count. One day, I just left it on the counter with the spoon standing defiantly at attention. When I came back 5 minutes later it was going through gel. I grabbed the spoon, gave it a good stir and molded it up. Another trick is to keep a few ounces of cold water handy. I just did this yesterday with a GM recipe that I never know if it’s going to go wonky on me or not. The lye solution calls for 18 oz. water. I held back 4 oz. of cold water. If it starts to seize, I dump the cold water into the batch, give it a good stir and mold up. Thankfully, it behaved itself. 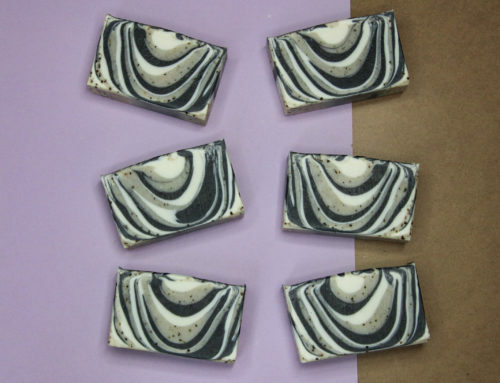 One time I divided my soap batch into 3 parts, each to have a different scent for each layer. I poured my FO/EO into each cup of soap and proceeded to stick blend the first cupful. When I turned around to get the 2nd cup, both remaining cups were soap-on-a-stick. That’s with NO stirring or blending at all. I can’t remember if I saved that batch, (I don’t think so), but now I always put the scent in with the oils and it cuts down on 1. forgetting the fragrance and 2. seizing.